The Baylor Research and Innovation Collaborative (BRIC) project was selected as one of eight worldwide finalists competing for CoreNet Global's 2011 H. Bruce Russell Global Innovators Awards (GIA). The BRIC is the first and cornerstone facility of a 21-acre discovery complex that will evolve into the Central Texas Technology and Research Park as tenants populate the park over the next few decades. 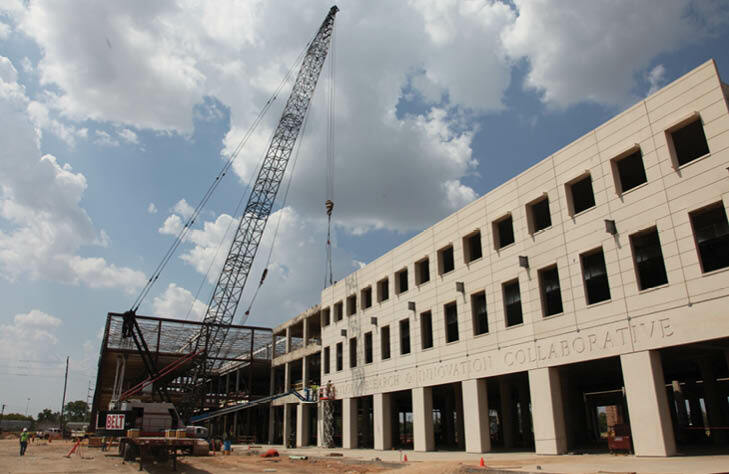 It will provide researchers, organizations and private companies -- particularly hi-tech startup businesses -- with 300,000 square feet of physical space for labs, research centers, industry collaborative space, workforce training and symposia meeting venues for up to 300 attendees. Additionally, science, technology, engineering and math space and an Innovative Business Accelerator are planned.